Being a veterinarian and tending to animal companions is rewarding in many ways, but the profession comes with its fair share of troubles. 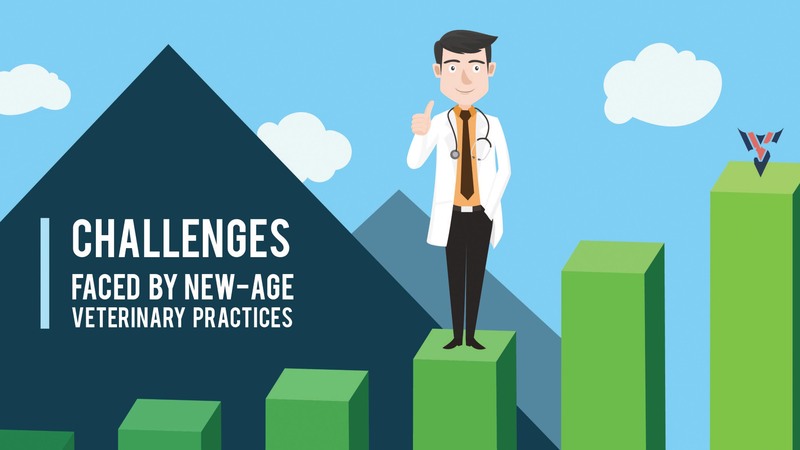 We explore some challenges that veterinarians commonly face and how you can overcome them to take your practice and career to greater heights. Veterinary medicine, until about a decade ago, primarily meant providing treatment and care to sick animals. However, in this digital era, pet owners approach much more than mere healthcare, in fact, they expect a service-oriented approach and results, necessitating renewed or transformed approach towards how animal wellness is perceived. Single vet clinics in specific localities now exist alongside multispecialty referrals, large hospital chains, and mobile clinics, all of which focus on keeping your animal companions happy and healthy. Advancements in veterinary medicine also mean the need for better collaboration with diagnostic labs and providers of other kinds of service related to pets. When you fail to stay abreast with these changes, your practice can soon become a laggard and suffer. 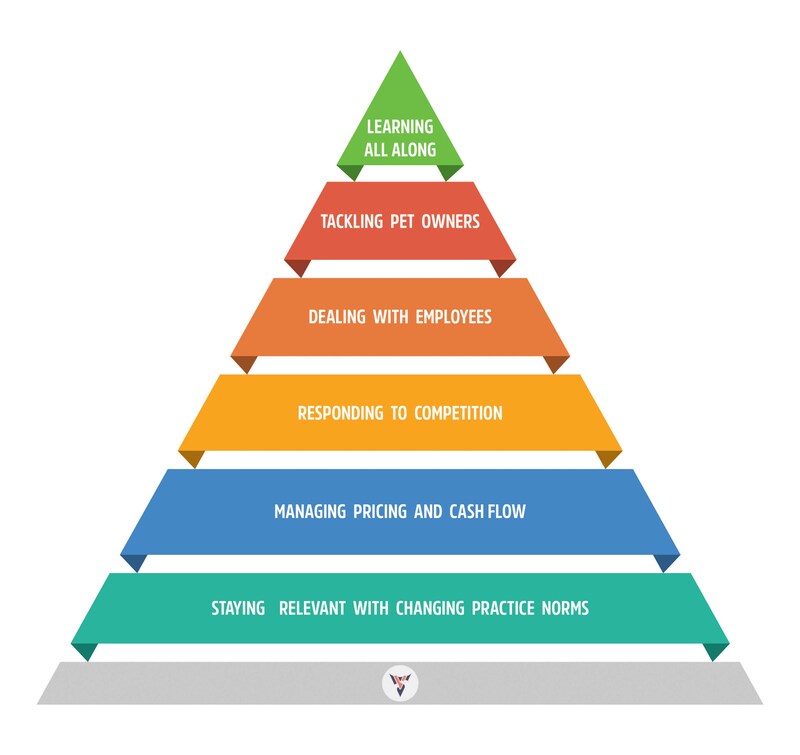 A veterinary practice management software (PMS), on the other hand, fine tunes your practice to meet these growing, new-age demand by streamlining everyday operations, removing redundancy, and limiting the reliance on human intervention for day to day functioning. For e.g, the software can help you collaborate with specialty clinics or larger hospitals to give or receive referrals. Inbuilt mechanisms can help you retrieve diagnostic reports directly from the lab without having to waste precious treatment time. The software can also make it possible for you to accept payments via multiple means from your customers. Handling pet owners with care can ensure repeated business while disgruntled or angry customers can spell trouble for your practice. When you come bearing bad news about their animal friends, pet owners can quickly turn awry and unmanageable. Pricing is a critical component that makes or breaks a veterinary practice. Any procedure that you perform in your clinic needs to be priced in such a manner that it is neither too high to leave customers disgruntled nor too low that it affects your bottom-line. Hitting the sweet spot of competitive pricing may take a while with continued trial and error - balancing equipment and tool costs, employee salaries, administrative costs, and others with profits for you to take home. Cashflow is yet another concern for veterinary practice. Nearly all veterinarians experience lean periods in some form or the other. But with a veterinary practice management software, pricing and cash flow can be markedly better. Many solutions made for managing veterinary clinics offer reports on expense categories, income from most-availed procedures, highest paying treatments etc., allowing you to fine-tune your prices to avail good returns. Also, the system can help you understand patterns and plan well in advance to give out special offers to attract more customers to your clinic during lean periods. The digital age means increased competition for your practice – not just from similar clinics but also other formats including mobile clinics, pet stores, and online diagnoses. Gone are the days when you could advertise in your local newspapers and magazines to gather your best-paying clients. Tech-savvy pet owners today rely heavily on digital media, peer reviews, web presence, and social media to determine the best healthcare choice for their animal companions. This has made it necessary for veterinary practices large and small to have an information-rich, user-friendly website along with a good social media presence. These add credibility to your practice and also present your clients the opportunity to write great things about your service that can garner attention among other pet owners. Beating the competition can be easier with a veterinary PMS. Most software comes with tools that give you an edge by helping you to market your clinic through websites and promotional content. In fact, many new-age solutions also help you build a personal connection with your patients and their owners by allowing you to send greetings, birthday wishes, and more. Veterinary practice is no breeze and tending to animals comes with its fair share of stress. The staff at the front desk as well the technicians in your clinic play a critical role in the success of your practice. Peak hours can be extremely tiresome not just for you but these people as well. During the rushed period, the employees are often required to switch continually between multiple tasks such as attending patient calls, taking down registrations, managing admissions, retrieving tools, medicines, or equipment necessary for administering medical care to pets, creating invoices, printing bills, and so on. The more the manual input in each of these tasks, the more the chances of an error. Staff who are held up in multiple tasks may quickly drop one or more of them, resulting later in troubles like missed appointments, overlapping schedules, incorrect bills etc. This is where a practice management software comes to your rescue. The many tools and modules contained in the software help automatize activities like appointment scheduling, sending reminders to patients, etc. These systems are also designed to optimize workflow related to processing bills, managing inventory, managing pet admissions, and the like. The software functions as a one-stop solution for all needs necessary to run your veterinary show, eliminating the need for multiple small- scale, non-adaptable tools. A veterinary PMS can be helpful in this regard as well. Such a software enables you to educate pet owners about the need for preventive medicine and routine veterinary wellness checkups through the use of inbuilt communication tools like emails, newsletters, SMS etc. Additionally, a good PMS also gives you insights on individual clients on long-standing pet owners, highest payers, and so on. Such reports generated by the software can be used to run loyalty programs for loyal customers through promo offers, discount coupon, and so on. Rewarding loyalty not only garners the attention of existing clients, but also promotes word-of-mouth marketing that gathers you new ones. Veterinary medicine and practice are always changing and as someone in this profession, it is important for you to stay up-to-date about veterinary treatment options, therapies, surgical procedures, and the like. Attending seminars, conferences, or short-term training programs can give your practice a boost like never before. Similar results can be achieved by watching videos and listening to podcasts by a recognized member of the veterinary fraternity. Your PMS can also be the source of such information and the latest news from your field of practice. Remember, challenges aren’t permanent. A little thought and effort coupled with a versatile veterinary practice management software can work wonders in how you care for animal companions and make a difference to your life and theirs.